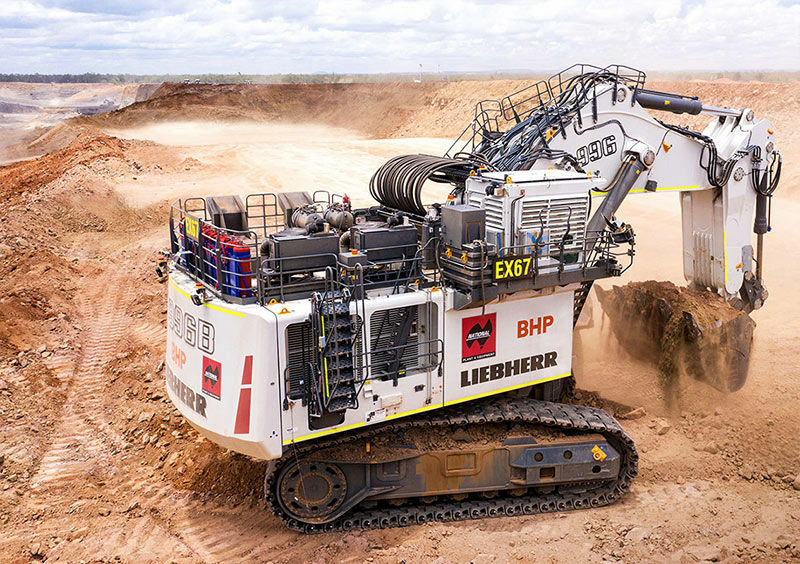 The first of these Excavators, a Hitachi EX5600, was added to BHP Billiton Mitsubishi Alliance's (BMA) Peak Downs site where the National Group handed over five Liebherr Ultra-Class T 282C Trucks in September of 2018. 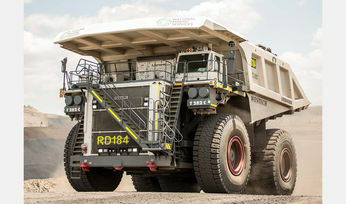 The second Excavator, a Liebherr R 996B, was delivered to its sister mine Poitrel, part of BHP's other Queensland joint venture, BHP Mitsui Coal (BMC). The excavator is the first piece of equipment that National Group has at the coal mine. Founder and Managing Director of the National Group, Mark Ackroyd, was there in person to hand over the keys at both locations and was very pleased to further contribute to their already strong relationship established with BHP. 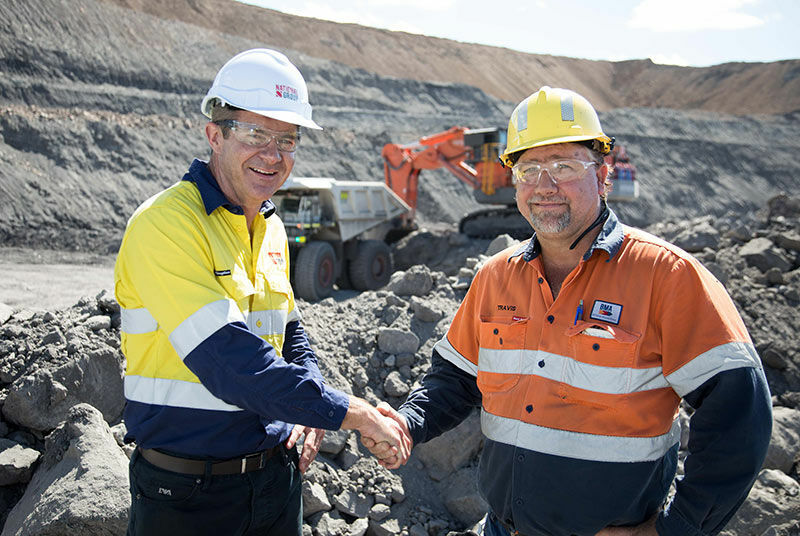 "We have been working with BHP for some time now, especially at Peak Downs, so to be adding more equipment there is a testament to the machines we currently have operating for them and speaks volumes of our team on-site who do a great job with maintenance when needed," he says. "Poitrel on the other hand, we are very excited to be adding our first piece of equipment there and for it to be the ever reliable Liebherr 996 digger. We're confident they are going to love this machine and hope it is just the beginning of things to come," says Ackroyd. As you can imagine, bringing such big equipment down under is a very complex process and one that requires a lot of aspects to go right, which is where National Group differentiates themselves from most. They have the capabilities to handle all transport, assembly and delivery, giving their customers peace of mind when securing these long-term rentals. "We know how difficult it can be to get the bigger gear to Australia first of all, let alone having to worry about everything else once it arrives here. That is why we have worked very hard to build brands that complement each other in the entire journey of Port-to-Pit," Ackroyd explains. 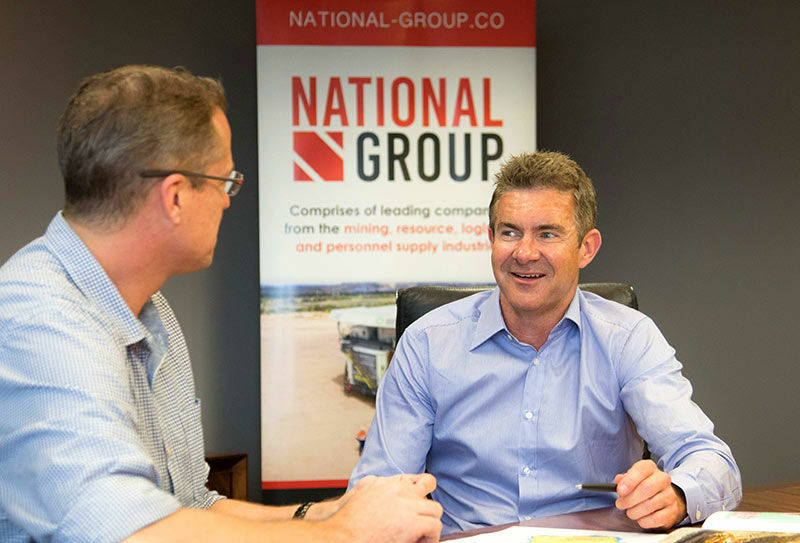 National Group are coming off one of their best years to date, however they show no signs of slowing down in 2019 with future plans already to invest in technology and enter the automation space. "The mining industry is now following the technology trend around the world and automation is at the forefront of this, says Ackroyd. "It is all about finding different ways to help your customers succeed and embracing innovation to get that edge over competitors. 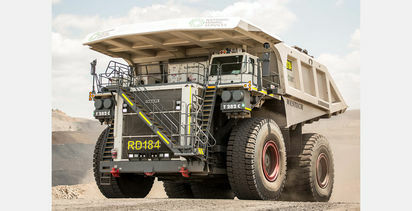 The National Group comprises of leading companies from the mining equipment, logistics and personnel industries. Our companies: National Plant & Equipment, National Mining Services, National Machinery Xchange, National Heavy Haulage, Resolute Equipment, International Global Logistics, National Quarries, National Lift & Shift, International Equipment Holdings, National Drilling Services, NRS (Aus).